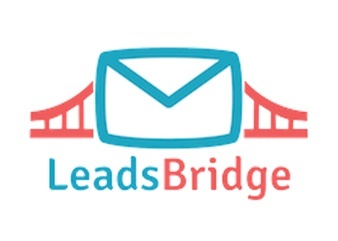 Bridge the gap between Facebook Ads and HubSpot using LeadsBridge. 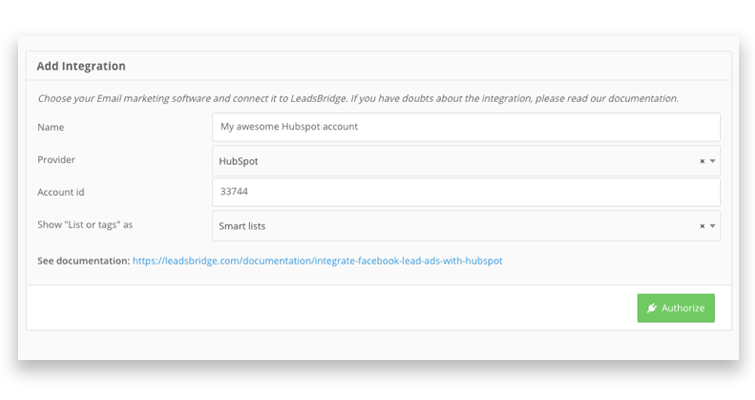 This integration requires both LeadsBridge and HubSpot. Learn more. 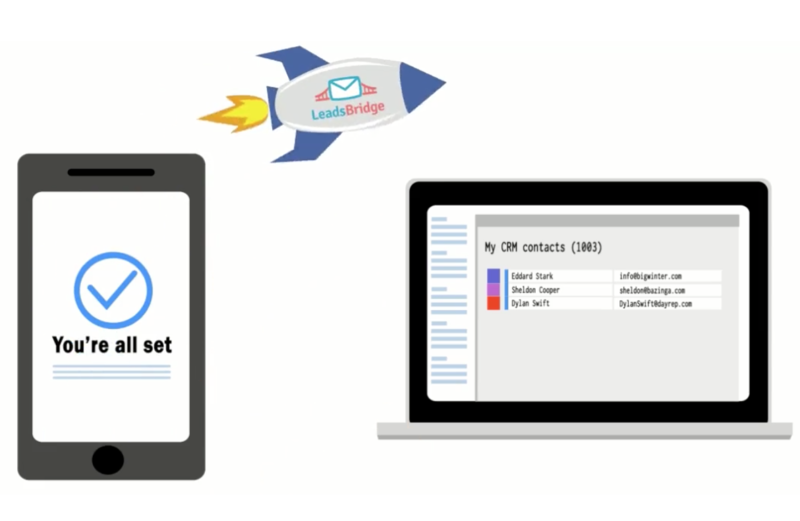 Send your leads' information between HubSpot and Facebook Ads to improve your sales, marketing and retargeting efforts on both platforms. 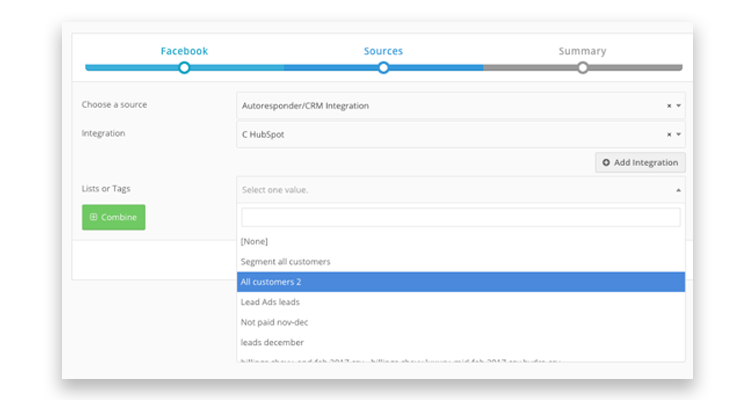 Sync smart lists from HubSpot with Custom Audience targeting inside of Facebook to reach specific lists of users with your ads.